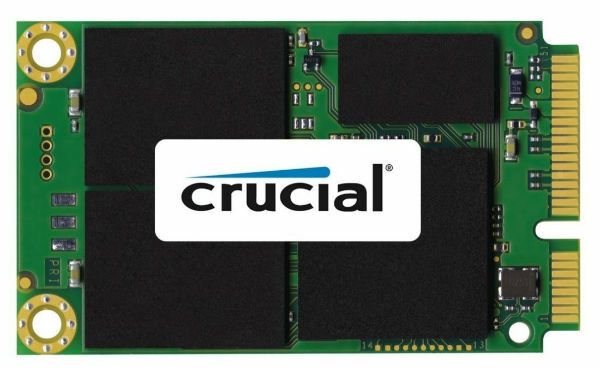 Up for grabs is a Crucial M500 120GB mSATA SSD... As seen on the Crucial website and at Amazon.com. Dramatically faster than a hard drive, the Crucial M500 SSD isn't just a storage upgrade - it's a complete system transformation. Designed to keep your system up to speed with today's multitasking demands that often require instant and simultaneous connections with friends, apps, websites, downloads, and playlists, the Crucial M500 delivers nearly instantaneous boot times, powerful data transfer speeds, increased multitasking capability, and rock-solid reliability - all at an affordable price. Available in capacities up to terabyte-class, the Crucial M500 has passed hundreds of SSD quality tests and over a thousand hours of prerelease validation testing. Don't settle for anything less. nice picking! Jealous of your new SSD!!! Thanks again. Got my prize and was kinda happy to see the mistake (or upgrade) since I don't have anything msata. EDIT: Oops. Tried to attach a picture but it didn't work. Ah ha - picture was too big.